Oliver Schwarz is a well-known architect in his native Switzerland. Less widely known is his skill as an artist and the inventor of a series of incredible flying contraptions. Here to bring Schwarz’s body of artistic work to a wider audience is Schwarzflug, the first book to focus on his paintings, drawings, and inventions over three decades. 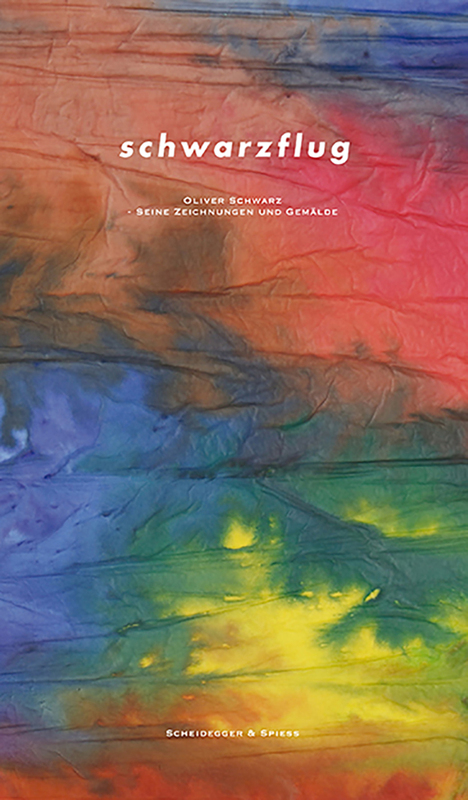 Schwarzflug, designed by Christine Sträuli-Türcké features four hundred large, full-color illustrations to demonstrate the impressive range of Schwarz’s work, which comprises both analog—chalk, ink, and pencil—and digital techniques with equal accomplishment. In an interview published alongside the illustrations, Schwarz offers insight into his creative process. He elaborates on the relationship between his art and the flying contraptions he has invented, on his sense of space while painting, and on the manipulable nature of digitally produced art. Additional texts offer short descriptions of the images and explore associations with Western artistic traditions.